We manufacture one of the largest ranges of storage anks available today. All our tanks are made from a seamless one piece mould, they are manufactured from premium polymer in accordance with our ISO9001:2015 quality control procedures. These industrial strength tanks have a wall thickness of 5-8mm and high impact resistance. Additional fittings, like tank connectors, ball valve or float valves can be fitted as and where required without affecting the tank's structural integrity. Suitable for storing antifreeze, lubricants & oils. Heavy duty Agricultural storage tank suitable for storing molasses. 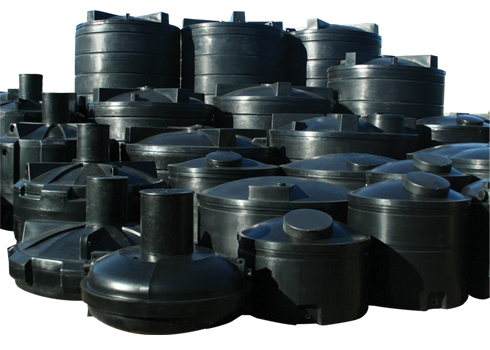 Garden rainwater storage tanks. Suitable for all garden types.